Yes. you read that right! Coca-Cola has finally decided to ditch it’s “Coke Zero” For “Coca-Cola Zero Sugar”. Coke Zero was launched in 2005 to give its customers a sugar free soft drink as many people are opting out of soft drinks due to the high amounts of sugar content in them which is very harmful to health. The company says that they have taken this step as more than half of the people when questioned did not know that Coke Zero does not contain sugar in it. Coca-Cola has also decided to support this launch with a £10m marketing campaign designed to get more people to choose no sugar options. The campaign will highlight that the new coke “tastes more like Coke and looks more like Coke” than the original Coke Zero. There are a couple of other new products that will be launched along with Coca-Cola Zero Sugar says a source. These all new products are to hit the market first in Mexico at the start of May. 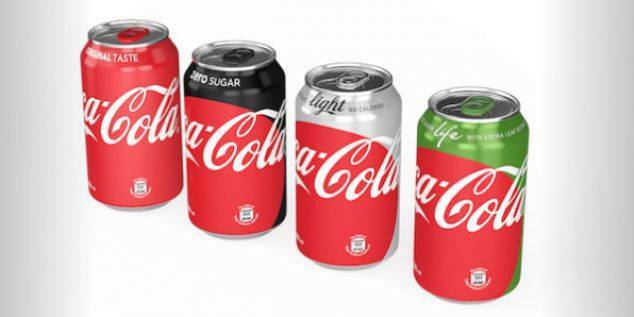 Talking about the design of the packaging for these new products, Coca-Cola says that they have stick to the ‘One Brand’ strategy and have designed it with the red disc Coca-Cola logo on it. Samsung Galaxy Note 7 Relaunch Date in India Confirmed?